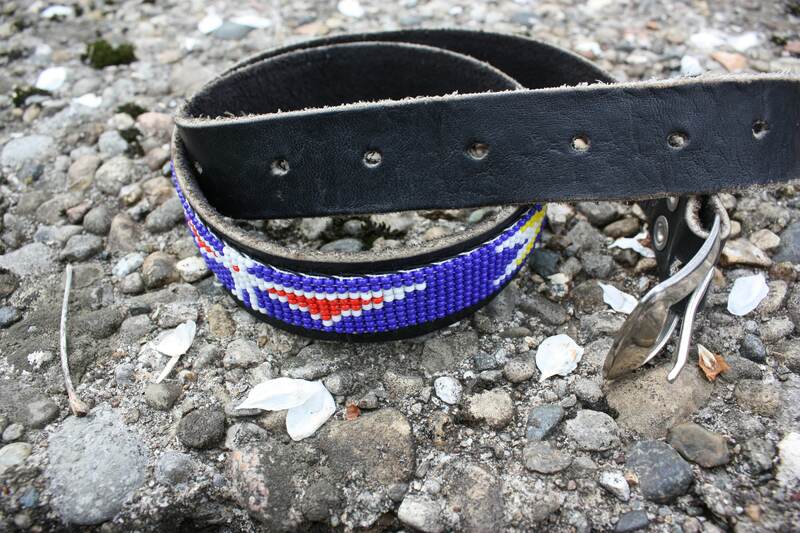 Southwestern Beaded Black Leather Vintage Belt with Silver Buckle. Chevrons, Arrows, Diamond and Thunderbird Pattern. 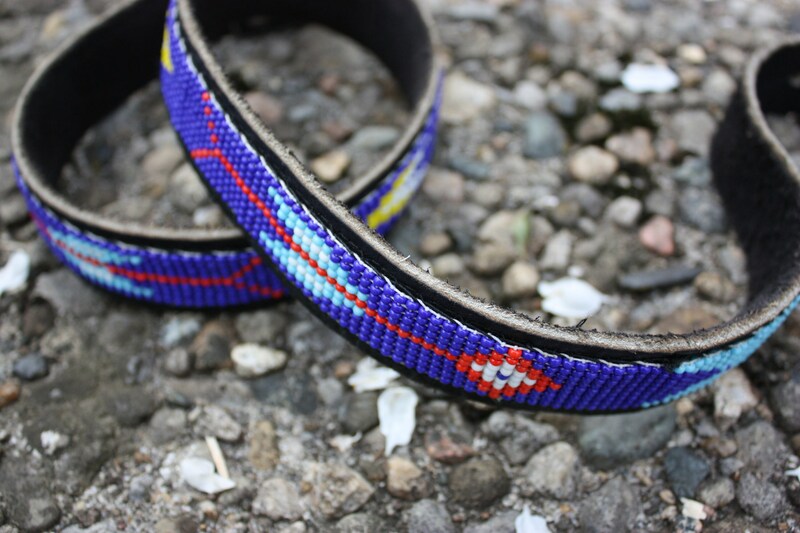 Waist 27"- 35"
Lovely Southwestern beaded belt with silver buckle. 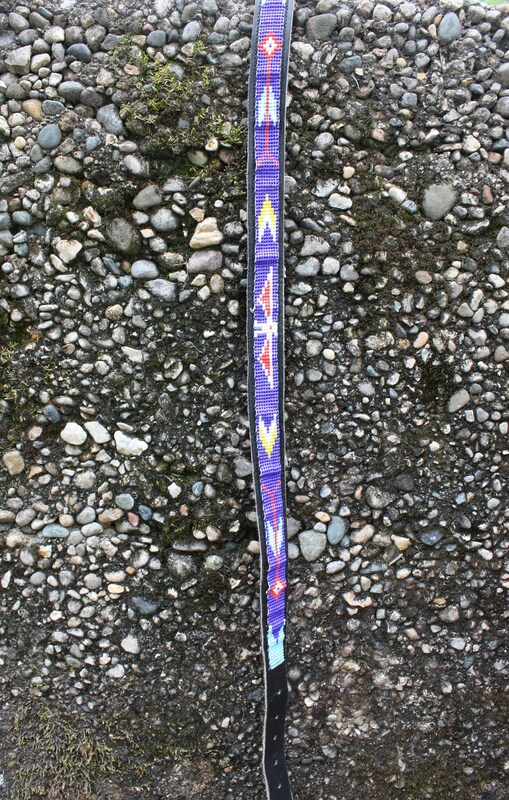 Red and white central thunderbird with mirrored chevron and arrow patterns. 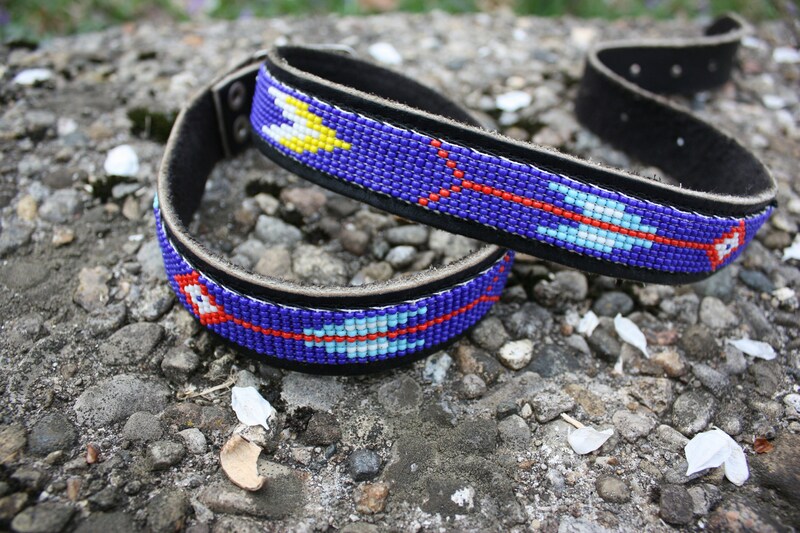 Beadwork in great shape, a bit of wear and added softness to leather belt.